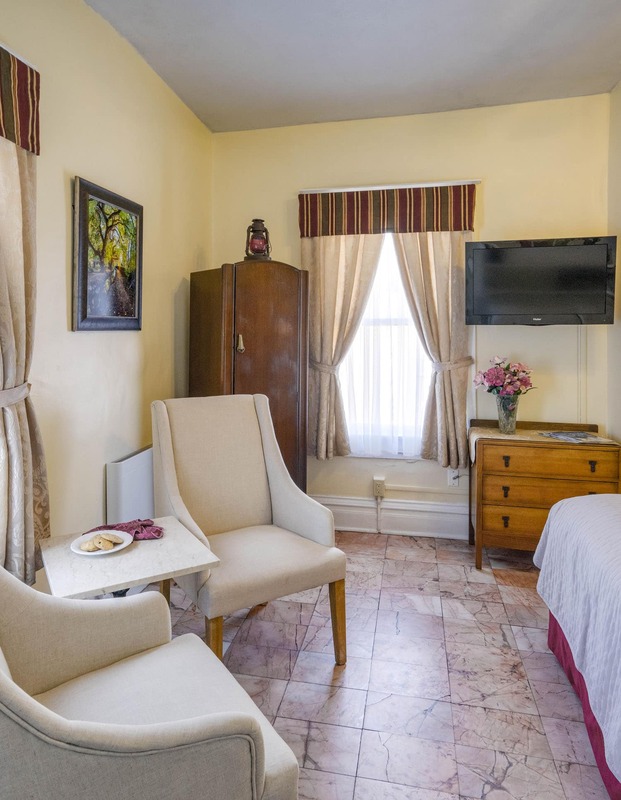 The William Hazeldine Room on the first floor has an amazingly comfortable king bed, marble floors, and a large private bathroom with Jacuzzi tub and shower. The mirrored headboard is part of the original kitchen shelving. Marble floors keep this room cooler in the summer. 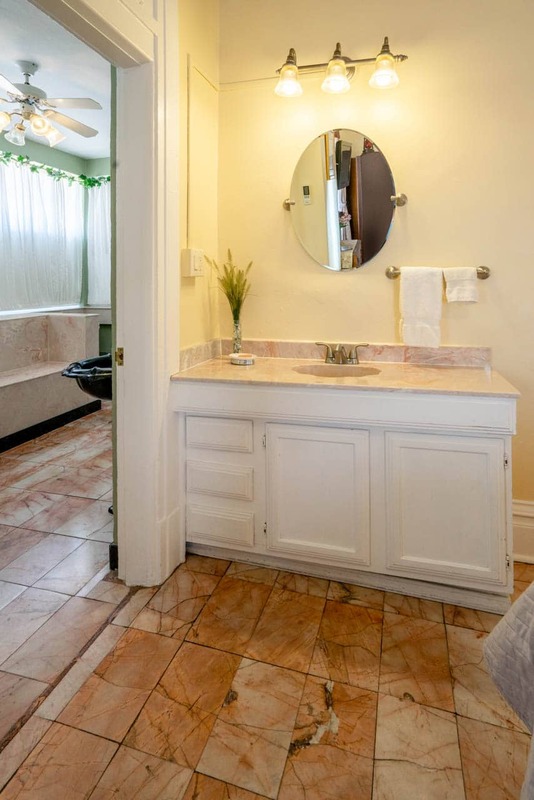 The bathroom was originally a sun porch. In the summer it is filled with light from windows on three sides, screened with curtains for privacy. 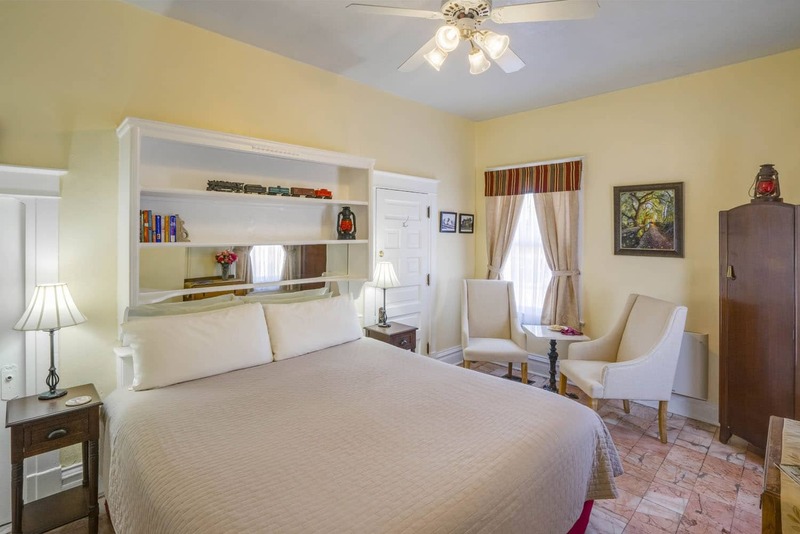 The Hazeldine Room in our Old Town bed and breakfast celebrates the fascinating railroad history of New Mexico. If you’re a train fan, this is the room for you! 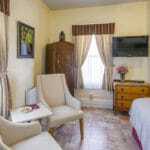 This guest room provides a romantic setting for your Albuquerque, New Mexico honeymoon, wedding anniversary or birthday celebration or weekend getaway. 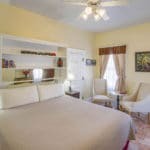 Why choose ordinary Albuquerque lodging when you can have something special? 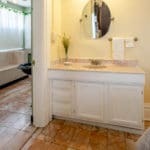 See more photos of this room and bathroom in the William Hazeldine Room album on our Facebook page.